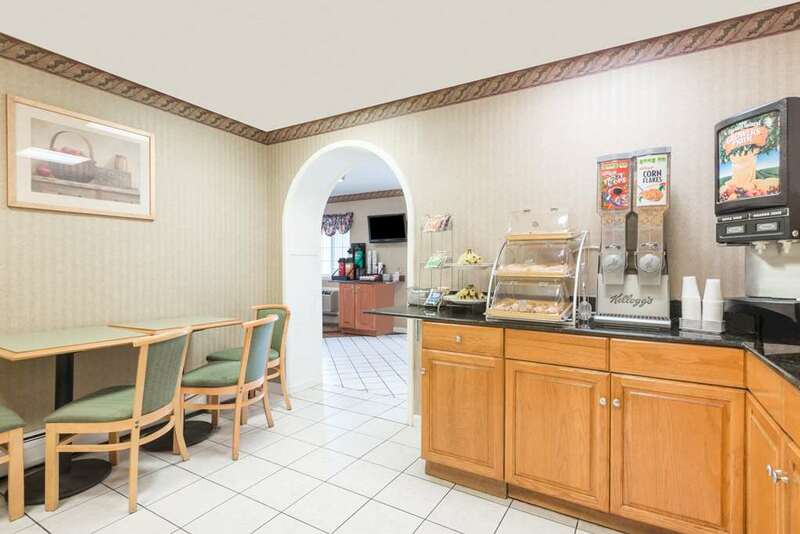 Spend your next fun-filled family vacation at this Howard Johnson Express Inn Lenox ideally located in the scenic Berkshire Mountains near many restaurants and museums. Tear up the snow at Bousquet Ski Area just six minutes away, or enjoy zip lines and water slides during the summer months. Attend one of many annual music festivals just four miles away at Tanglewood. Enjoy a beautiful day of exploring the mansion and gardens of The Mount estate, or hike the trails at the Pleasant Valley Wildlife Sanctuary. Wake up to a complimentary Hot Rise and Dine continental breakfast, and plan your adventures with the complimentary wireless Internet access. Complimentary car and large-vehicle parking makes it easy to explore the area. After a fun day, relax in the sauna or by the seasonal outdoor pool with a beautiful mountain view. Refresh in your comfortable guest room watching the TV with HBO. Suites, smoke-free and handicapped-accessible rooms are also available.